Splice type, where the ends of the belt are bevelled, one end of the belt from the top face, the second one from the underside and then placed over one another. 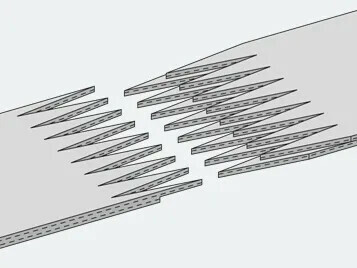 The contact points are melted or stuck together using heat and pressure. Also called an overlap splice. 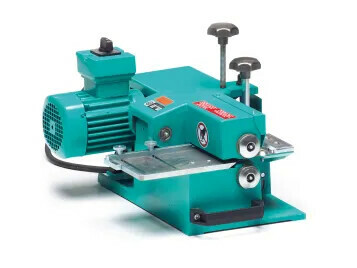 The ends of the two or multiply belt types are peeled off in step shapes, placed exactly over one another with auxiliary splicing materials and using adhesive are stuck together. Splice type, where both of the two ends of the belt have been punched in a Z-shape, fed into one another and spliced using a melt splice procedure. 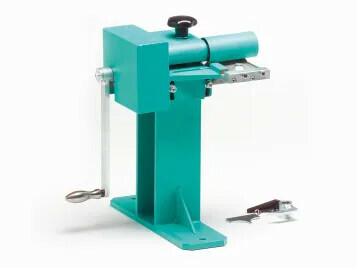 Accurately defined lengths and widths of the Z-fingers (pitch and splice length) have been defined. 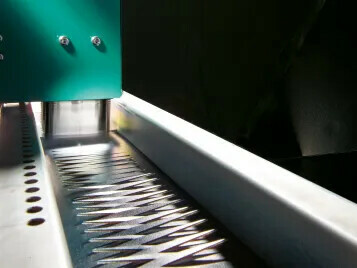 Splice type where each end of the belt is split and is punched with two rows of Z's inverted at a particular distance. 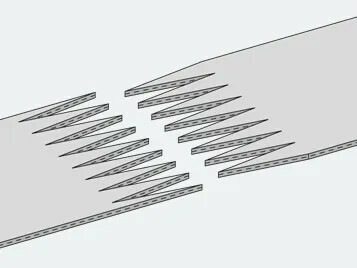 So that the splice locks properly in the subsequent melt splice procedure, one of the ends of the belt is punched with the underside at the top and the other end of the belt with the top face at the top. 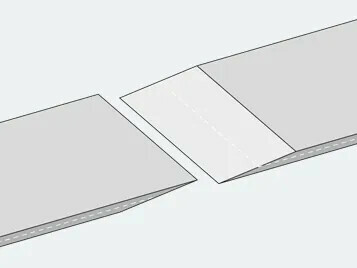 Procedure for preparing a wedge splice. 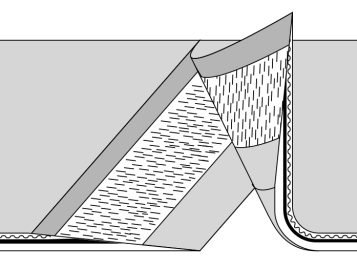 Procedure for preparing a wedge or stepped overlap splice, where the coating and/or fabric layers are removed at a set distance from the end of the belt in a wedge or step shape by grinding. 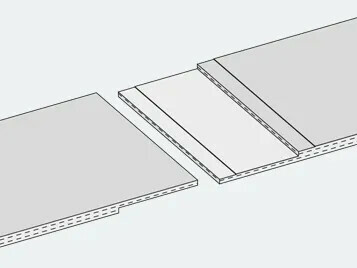 Procedure for preparing Z-overlap splices where the ends of the belt are split in the intermediate layers, in two and multi-layer belts, at right angles to operational direction of the belt. 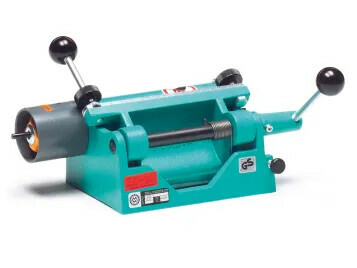 Procedure with one tool for preparing a stepped overlap splice, where the coating and/or fabric layers are removed at a set distance from the end of the belt with offset flat-nosed shears. 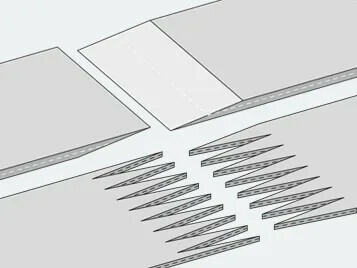 Procedure for preparing Z and Z-overlap splices where the ends of the belt are separated in Z-shapes with a punching procedure. Procedures where the ends of the belt are prepared in wedge or step shapes. Adhesive is applied to both ends of the splice. Pressure and heat (< 120°C) are applied to the splice to harden the adhesive. 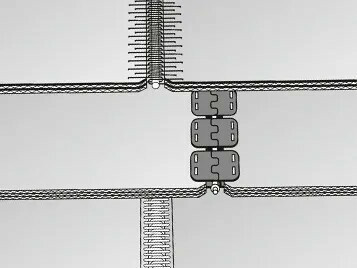 Procedures where the prepared ends of the belts (Z or stepped) are melted with or without splicing materials using heat (> 120°C) and pressure. Procedures where what are known as clamping or hook fasteners are embedded into the ends of the belt and kept together with a splice wire.